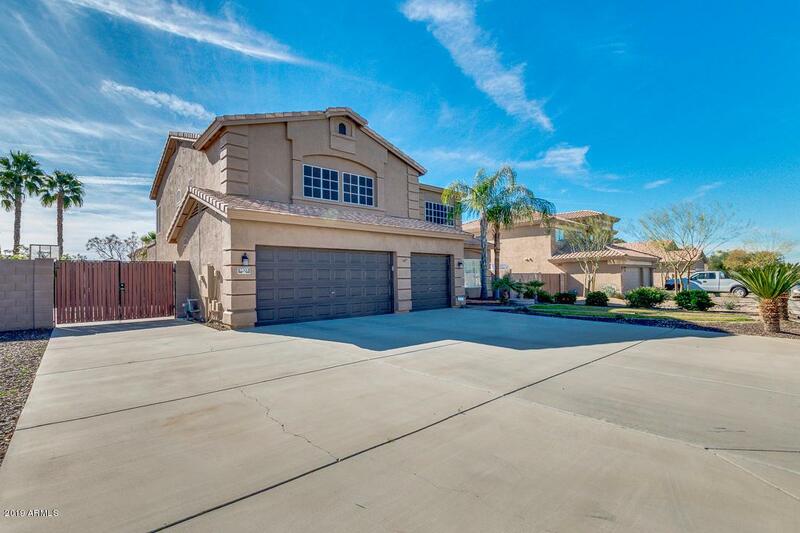 PLEASANT VALLEY gated community, one of the very few that allows RV parking! 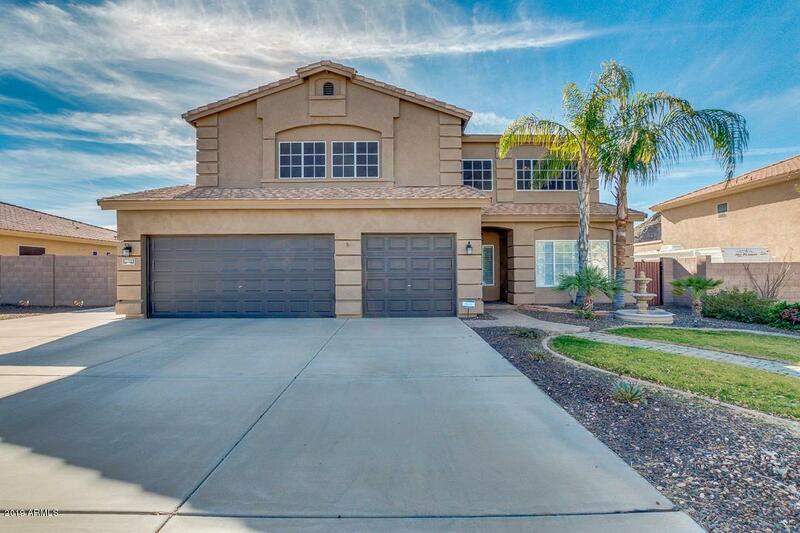 HIGHLY UPGRADED home with 4 Bdrms/2.5 baths, and large loft. Designer 24'' Travertine floors, upgraded maple cabinets with pulls, granite counters with tumbled stone backsplash, 50'' electric fireplace for year-round ambiance set in stone. New bench and cubbies to keep organization in style. Bathrooms updated with travertine, tumbled stone or granite. 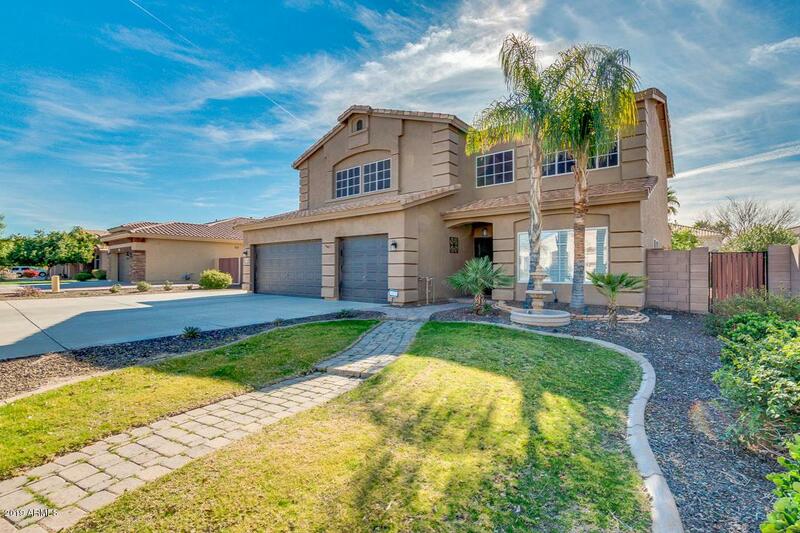 Large oversized back yard w/grass area, 5-year-old pool with stone grotto/waterfall, swim deck w/built in geyser, built in table, and pool has CHILLER! 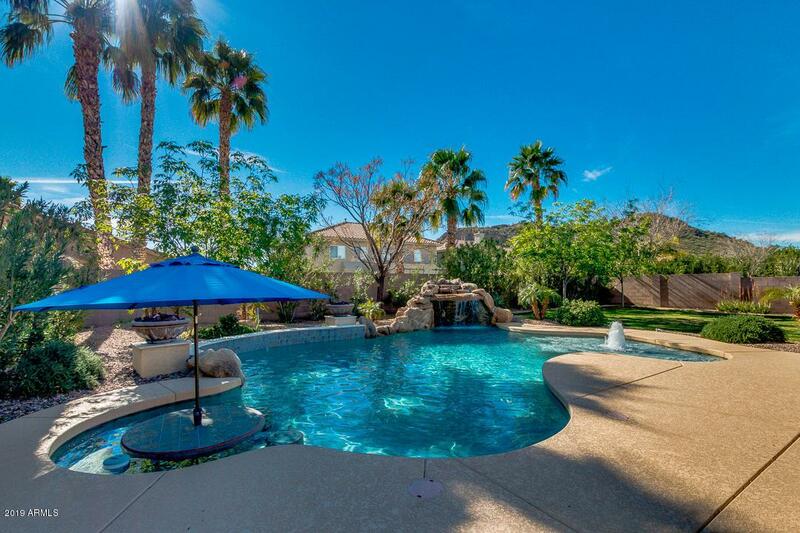 Full covered patio with speakers, outdoor poolside gas fire-pit. The 22' x 45' cement side yard/pad with RV gate offers added storage for all your toys, with instant trail access right from home! New paint in 2018.